Media has been in a state of flux for years. In fact, the history of media is one of disruption. Newspapers were certainly impacted by radio, that media was shook up by TV, but few things have been more disruptive than the Internet. While each new form of media primarily impacted the latest one it proceeded, the Internet has been like an earthquake on all the media platforms. Most media have suffered from the same hubris that have impacted other companies that forgot what industry they were actually in. Have you ever wondered why there is no Southern Pacific Airlines or Grand Trunk Airways? It is because railroad companies myopically thought they were in the train business, when they were actually in transportation. Media has made the same mistake, thinking they were in the newspaper (or radio/TV) business and forgetting they were primarily in the information industry. Newspaper companies for sale today are going for about half the price they went the last time they were purchased. Meanwhile, it is not unusual to go to a site of a newspaper and see a pop-up window stating, “support quality journalism for only $9.95 a month!” (or some other figure). Very few media are going to survive, let alone thrive, under such a pathetic model of begging for support. That is why it is not unusual to see these companies casually cut as many as half of their staffs or close altogether.Not only are these sites blasting readers with pop-ups begging for money, many plaster the reader with layers of ads that slow down the pages’ performance. Readers often feel forced to close the entire tab and open a new one. Some give you a limit on the number of articles you can read. It is not unusual to open one article and find you only have five left for the month. Once those are gone, you are forced to choose to not come back for a month or pay a subscription for more access. The vast majority choose the former, which means these sites will get fewer visits, thus damaging their SEO. In spite of spending a fortune on web platforms and SEO experts, these media platforms still do not get it. It is not just traditional media, but even web only news platforms that are trying to create special content access in order to get revenue from readers. They are using the same clumsy solicitation techniques as old media, and find themselves fighting for survival. Plus, many news sites are so biased they are dismissed as “fake news” (both on the political left and right), which has enhanced the credibility of independent blogs that often seem to lack an ax to grind. As a result, independent news sites and blogs are not only surviving, but thriving. 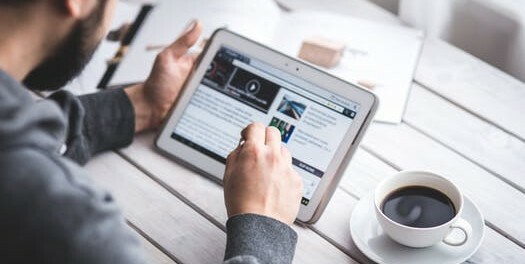 They are often offering quality articles and unique content that are found on major media sites, without the cumbersome tactics that make reading experiences miserable. In addition, these sites have significant Domain Authority and members of their staff include award winning journalists and national media personalities. Finally, these great sites depend heavily on guest posting, which provides a diversity of content and perspective that major media wishes they could bring to audience. These are just a few of the reasons big media dies, while independent sites thrive. Learn more about sites we work with (including this one) that often look for guest posts by visiting here. Also, email articles@USDailyReview.com to learn more about the posting guidelines of these sites.